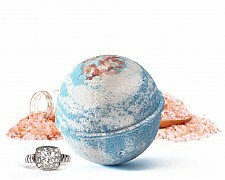 This may not be the treasured golden egg, but this Golden Pear Jewelry Bath Bomb surely meets the gold standard! 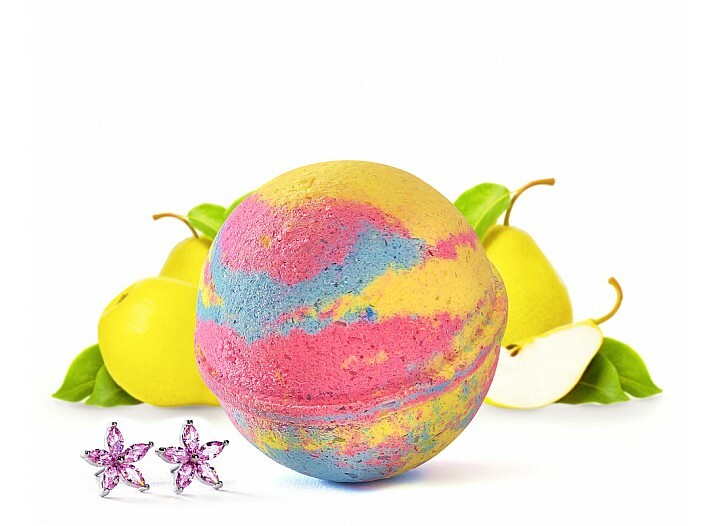 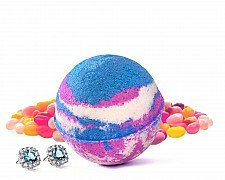 Drop this in your tub and watch as the water turns into a fun swirly mixture of yellow, pink and blue shades. 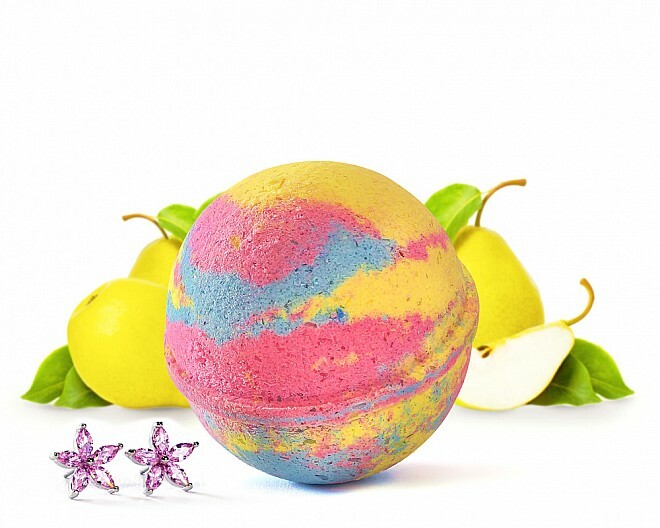 Juicy pear notes mixed with tart apple, bergamot, and sheer florals in this delicate bouquet. 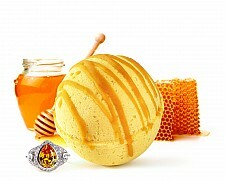 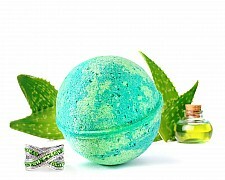 Exotic sandalwood, golden amber and soft musk combine to create a lively scent!